It’s official. 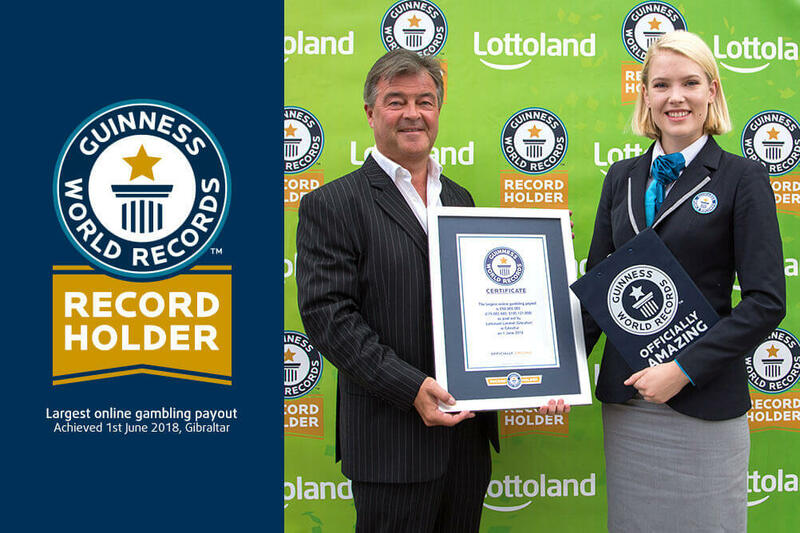 Lottoland now hold a Guinness World Records™ achievement for the world’s biggest online gambling payout! In June 2018, a home cleaner from Germany, Christina, won an incredible €90 million (approx. R 1,4 billion) cash prize on a fixed odds bet she placed on the EuroJackpot. We thought it might be a record-breaking payout and it was indeed. 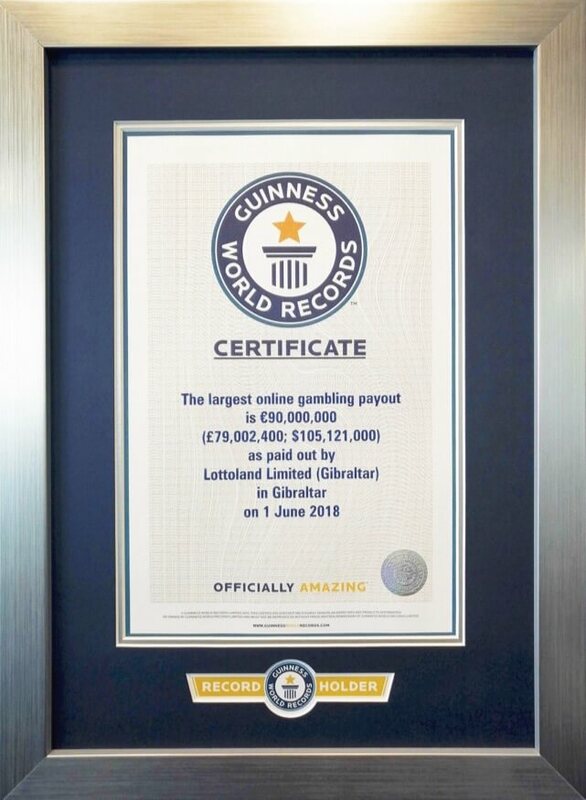 Guinness World Records certified it as the largest online gambling payout in history. Although less well-known in South Africa, EuroJackpot is Europe’s second most popular lucky draw event and takes place every Friday night in Helsinki. Choosing 5 numbers from 1-50 and 2 further numbers from 1-10, Christina won the lotto’s maximum payout after effortlessly placing a bet on her phone. Little did she know that she would soon be winning the world’s largest ever payout for a bet made online. Naturally, Guinness World Records™ were amazed at the news and contacted our team for more information. Adhering to the highest standards of adjudication, Guinness World Records™ asked us how Christina placed her bet, how we were able to guarantee such an enormous payout, and most importantly, confirmed that Christina had been paid every penny of her unbelievable winnings! Satisfied that the rigorous record-breaking criteria had been met, they duly awarded the prestigious honour to Lottoland. Are you Lottoland's next big winner? We’re not resting on our laurels. With even bigger top prizes available at Lottoland almost every day, as well as our exclusive special payouts, we don’t think it’ll be long before we’re breaking our own record. Will you be our next Guinness World Records™ title holder? How To Choose Lotto Numbers? Does Lotto Get Taxed in South Africa? Can Lotto Predictions Help You Win The Lottery?